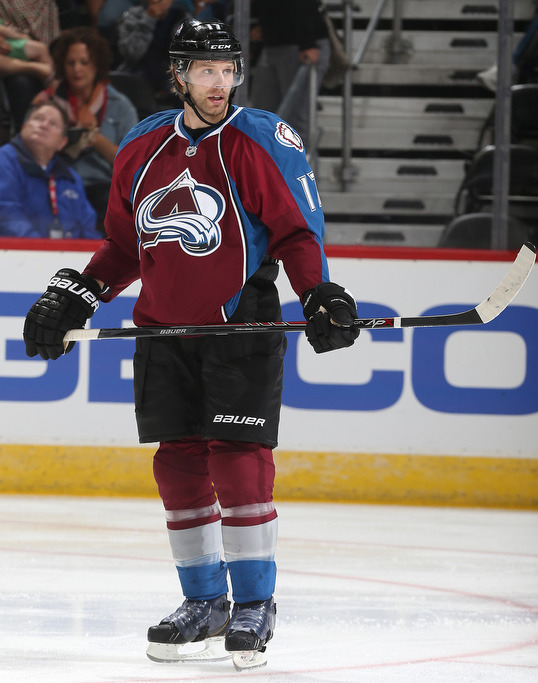 Colorado Avalanche defenseman Brad Stuart will hit a career milestone tonight when he takes the ice at CONSOL Energy Center in Pittsburgh, Penn. It will be his 1,000th career NHL game, an always-impressive feat in such a physically and mentally grueling sport. One thousand is a lofty number, and it doesn’t come easily to many in the league. In fact, the 35-year-old Stuart will become just the 100th defenseman (293rd player overall) to reach that achievement when the puck drops tonight in the house that the Penguins built. A long-tenured run in the top league in the world is something that comes with a bit of duality to it; time often seems to speed up and slow down simultaneously. There will always be moments that resonate more than others, lingering fresh in the memory, but 15 seasons and counting can seem to run an eternity and also vanish in the blink of an eye. Stuart’s first contest in the NHL is something he’ll never forget, the recollection so clear it’s as if he’s reliving it when he thinks back. The Rocky Mountain House, Alberta native debuted on Oct. 2, 1999 with the San Jose Sharks, playing against his beloved Calgary Flames. Stuart scored a power-play goal in the first period, helping the Sharks to a 5-3 victory in the season opener. Stuart finished the contest with 20:51 of ice time, five hits and two shots, punctuating the kind of player that he would be during his time in the league. On June 4, 2008 he won the Stanley Cup with the Detroit Red Wings. Stuart was a new face on the team, having played just nine regular-season games before the playoffs began. Still, he finished his 21 postseason contests with a goal and seven points and a plus-15 rating on his way to hoisting the greatest trophy in all of sports. “It’s the hardest thing you’ll ever do in hockey, and you’ve got to get lucky. But it’s the most rewarding thing I’ve ever done as far as my hockey career goes,” Stuart said. “Just the sense of accomplishment. It’s hard to describe. It’s something you achieve as a team, and I’ll always feel close with all the guys that were on that team. It’s just a bond that you’ll always have. There are many who have laced up the skates in the NHL that have never had the chance to lift Lord Stanley’s colossal chalice to the sky, and Stuart knows that it takes a certain measure of skill, camaraderie and luck to achieve. It’s also the product of playing the game the right way, that is to say the way that keeps you in the league for 1,000 games and beyond. Stuart had to make a choice as his era in the league dawned bright on the storied hockey horizon, one that molded and shaped his entire career like a willing ball of clay. It was a decision that he’d encourage any player to make as they figure out how to have success at the sport. “There’s going to come a point in your career where you have to decide what kind of player you want to be. You can be the player that you really want to be and think you can be, or you can be the player that you need to be,” said Stuart, a veteran sage in the Avalanche dressing room. “I think I figured out that the player I needed to be to have a lasting career was a little bit different than what I was in junior. I was a little more offensive. That’s the formula he followed, and with his 1,000th game mere hours away it’s safe to say that it’s worked out. Selected third overall by the Sharks at 1998 Entry Draft, Stuart has amassed 322 points (77 goals, 245 assists), a plus-10 rating and 555 penalty minutes in his 999 matches. He’s also put away 40 points (10 goals, 30 assists) in 142 playoff contests. Stuart finished runner-up—to Scott Gomez of the New Jersey Devils—for the Calder Trophy in his freshman season and was named to the 2000 NHL All-Rookie team that year as well. He also went on to represent Canada twice at the IIHF World Championship (2001, 2006). Stuart joins Adam Foote, Todd Gill, Milan Hejduk, Ian Laperriere, Patrick Roy and Joe Sakic in playing his 1,000th game in an Avalanche sweater. 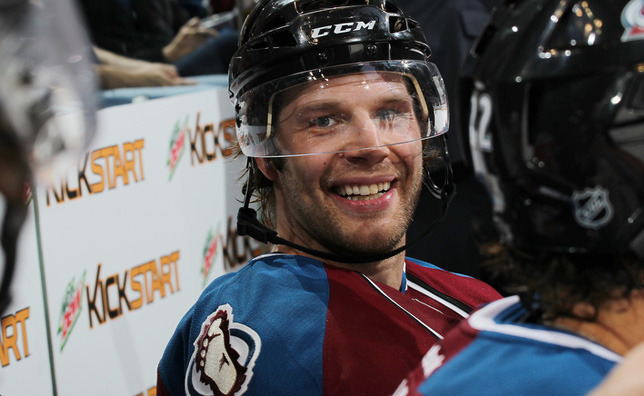 He will be honored at Pepsi Center on Dec. 23 before Colorado’s game against the St. Louis Blues.